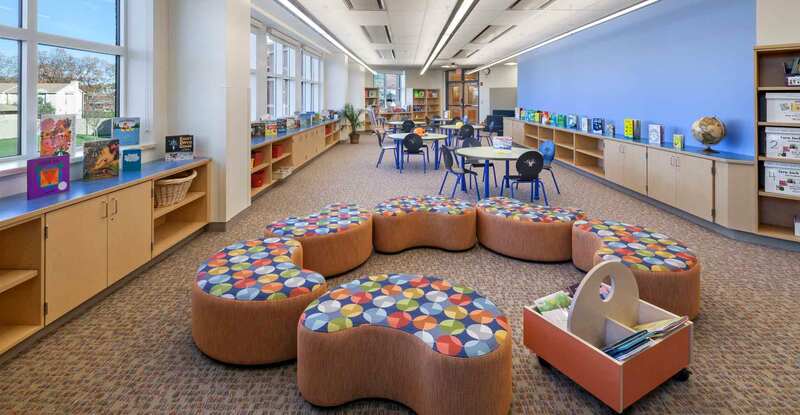 In 2012, Kenneth Boroson Architects was selected from 19 architectural firms from throughout Connecticut, New York and Massachusetts to design an early learning center solely for pre-K students aged 3-5. 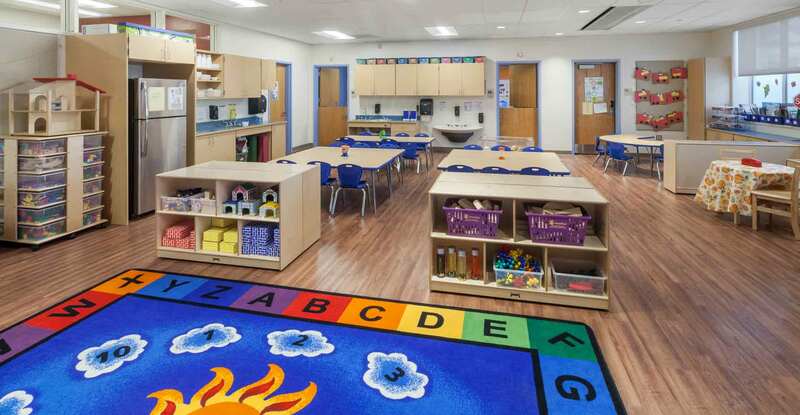 Completed in fall of 2016, it is now the largest public preschool of its kind in the state of Connecticut. 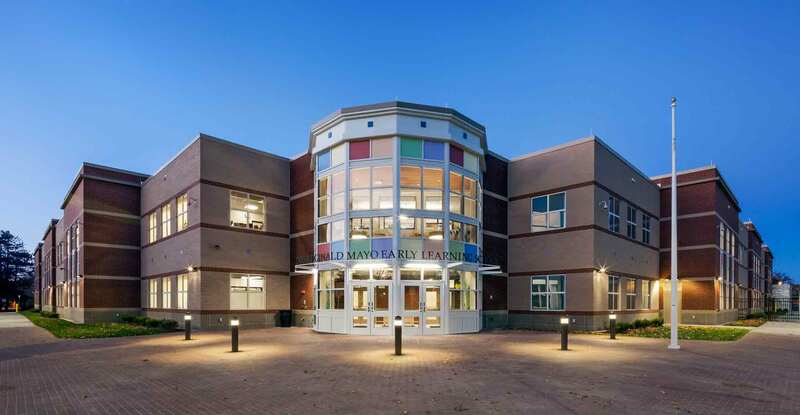 Located in New Haven on the site of the former Helene Grant School in the Goffe/Dixwell neighborhood, this was the latest project in the City's $1.6 billion School Construction Program initiated by former Mayor John DeStefano in 1995. The new school, the Dr. Reginald Mayo Early Learning School, bears the name of the former Superintendent of Schools. 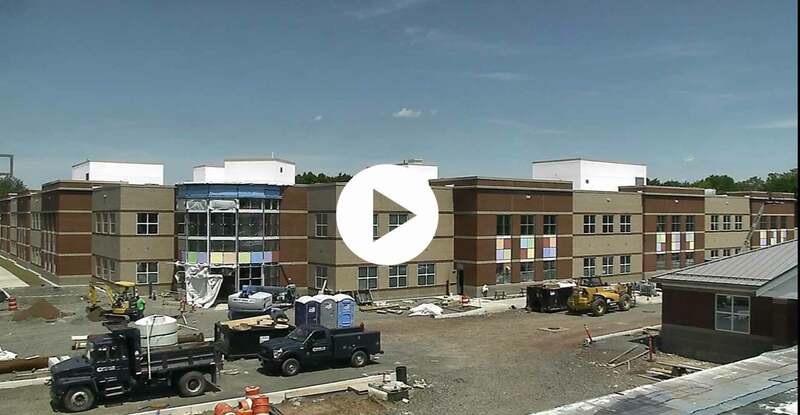 The project scope included the complete demolition of the former school, constructed in 1964, due to the discovery of very high levels of hazardous materials, as well as its inability to be adapted to meet current code and functional requirements. 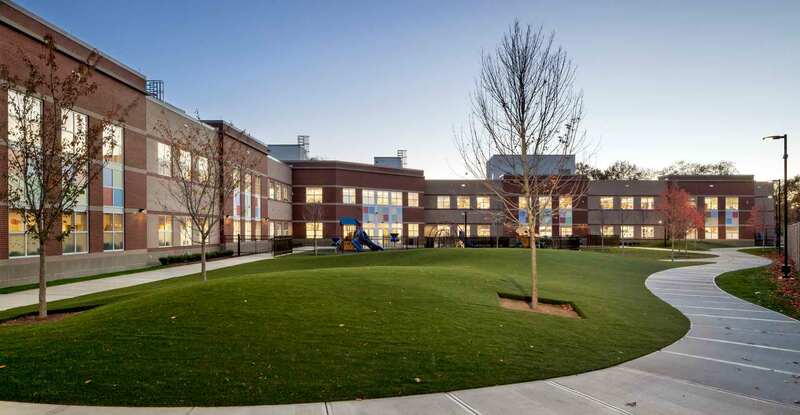 The new 70,982-sf early learning center was designed to accommodate 565 Head Start/Pre-K students from throughout New Haven, with its student population to feed into all of the city's public and interdistrict magnet schools. The 2-story structure is equipped with a state-of-the-art security system. 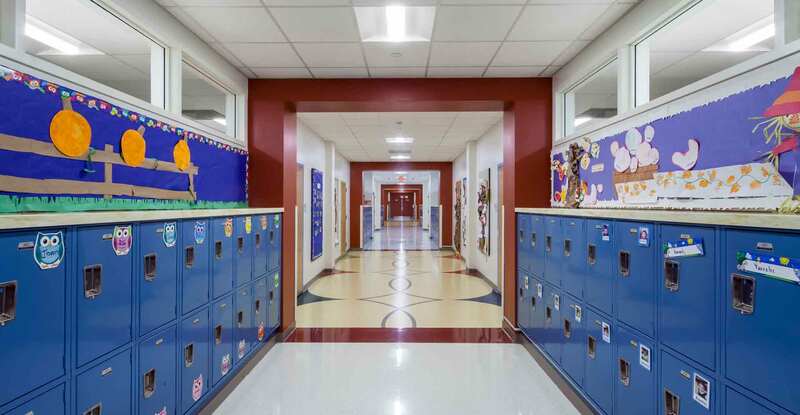 It contains a total of 28 classrooms, including six special needs classrooms, which will allow the mainstreaming of physically and developmentally challenged children. 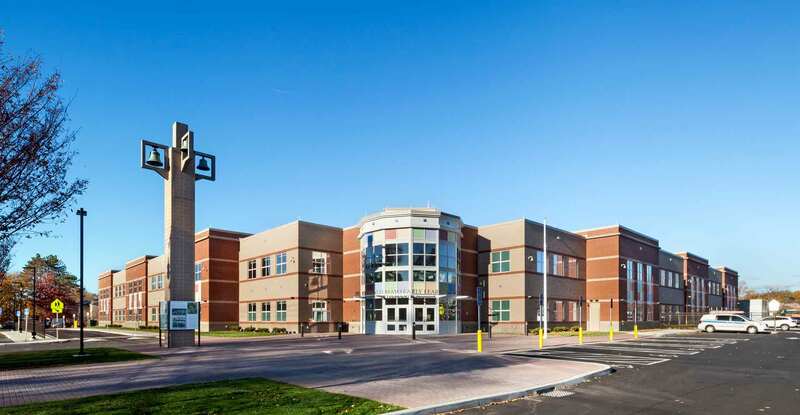 The new facility was designed to LEED Silver equivalency and exceeds State of Connecticut High Performance building standards. 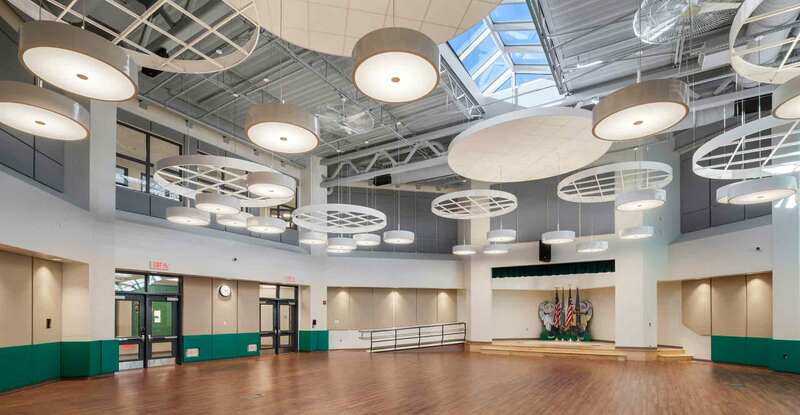 Some green features include a photovoltaic system with multiple roof arrays, hydronic radiant flooring, chilled beam HVAC, and LED lighting throughout. Constructed of colorful masonry and glass, the L-shaped structure surrounds an exterior courtyard that securely houses playscapes, sand boxes, gardens, and a tricycle track. 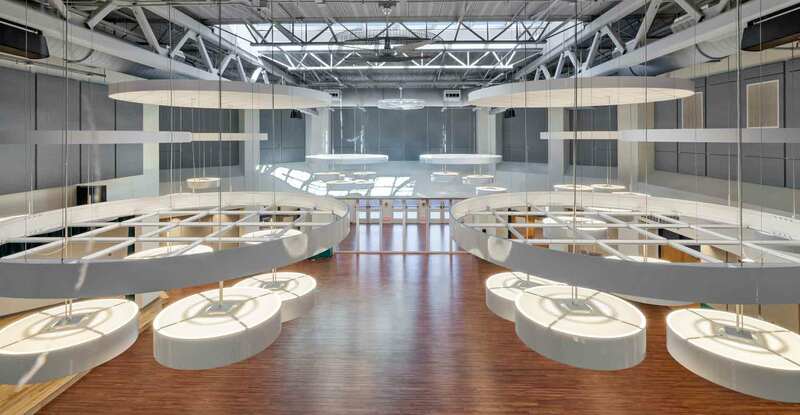 The school also contains a multipurpose room for after-hours use by the community. 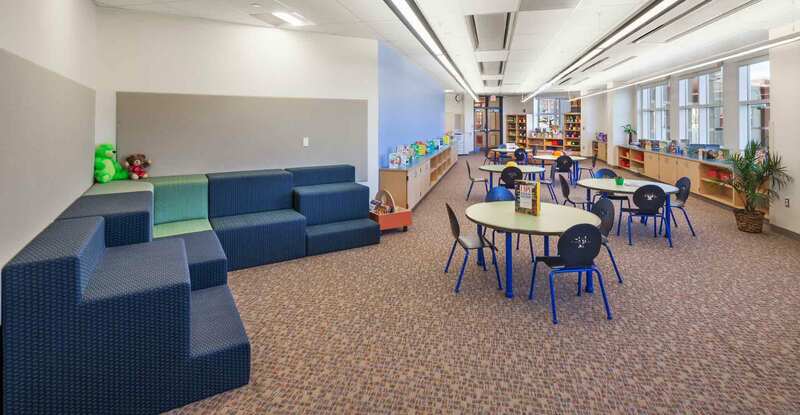 The project scope also included design and construction of a separate building on the same site to house one department of the City’s Board of Education Central Administrative Offices. 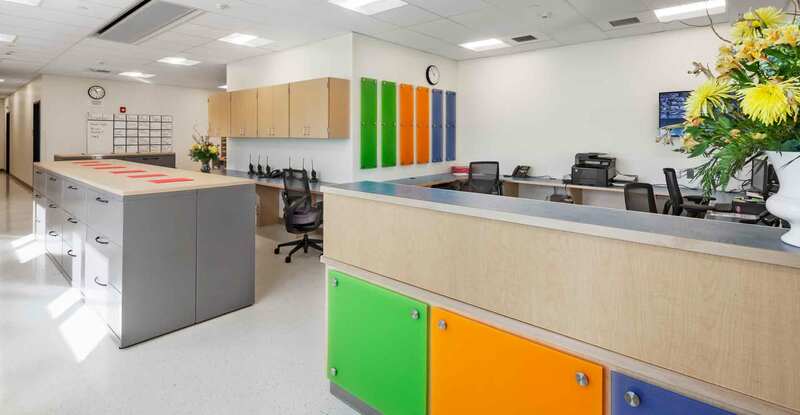 The new 3,200-sf Early Childhood Annex accommodates nine employees in four offices, four workstations, and a reception area. The project was completed on budget and on schedule in September, 2016.